The K7 Kitchen Sink Mixer has been designed to provide professional-grade functionality. A sleek and striking design, the tap features a professional spray that swivels in a 360° radius, offering the choice of a fine spray jet and a powerful shower jet. 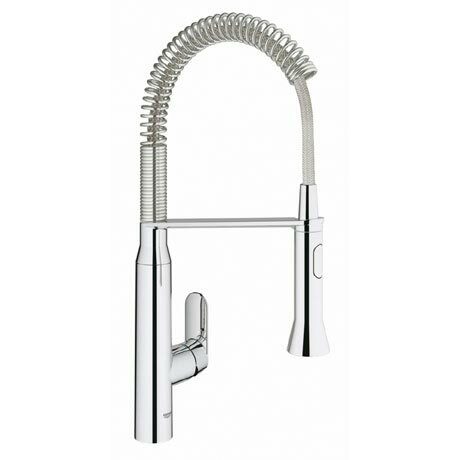 The tap is manufactured from high grade stainless steel and comes finished in GROHE StarLight® chrome coating, an ultra smooth finish that is scratch resistant and easy to clean.